Indian cricket captain Virat Kohli is in a funk; so much so, that he no longer wants to be friends with Australians. 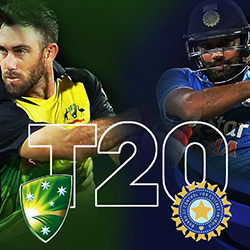 This follows Australia’s four-test series in India, despite the fact that the host country can boast a 2-1 series win. The series, played over six weeks, was marred by controversy both on and off the field. Both sides appear to have accused the other of cheating, umpires’ decisions were called into question, and insults were hurled regularly. The experience has obviously left a bitter taste in Kohli’s mouth. Before the series began, the Indian skipper proudly proclaimed that he numbered some of the Australian players among his good friends. However, Kohli’s tune had changed by the end of the series. The captain claimed that the actions of some of the Australian players had proven him wrong in his estimations of friendship. The first test between Australia and India had a few uneasy moments, but it was during the second test in Bangalore that tempers really began to flare. After Shaun Marsh was dismissed for 10 and LBW, Australian captain Steve Smith was also dismissed for LBW. However, Smith was not prepared to take it lying down. 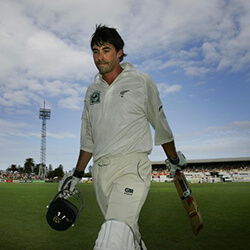 He appeared to ask his partner whether he should request that umpire Nigel Llong’s decision be reviewed, and then looked toward the changing room; something prohibited by cricket rules. That proved to be a big mistake on his part. Llong gave Smith his marching orders, and then Kohli gave Smith a tongue-lashing second to none. Officials actually had to step in and tell the Indian captain to compose himself. However, Kohli did not forget Smith’s actions in Bangalore. Speaking at a post-second test press conference, he blatantly accused the Australian captain of cheating by looking at the changing room. James Sutherland, head of Cricket Australia, labelled Kohli’s accusations as outrageous. Australian coach Darren Lehmann also rejected Kohli’s claim that Smith had cheated. Anyone who thought that Bangalore might have been the end of all the unnecessary nonsense was to be sorely disappointed. On day four of the fourth test, played in Dharamsala, India celebrated when Murali Vijay claimed a catch from Josh Hazlewood. However, replays revealed that the ball had, in fact, touched the ground. Hazlewood was not out. When the verdict was given, the cameras panned up to Smith, seated in the stands. 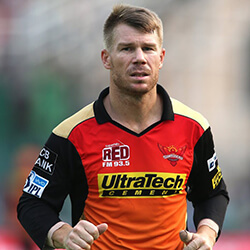 The cameras showed Smith allegedly referring to Vijay as a “f***ing cheat”; a move that caused the Indians further consternation. At the end of the fourth test, Smith acted in the spirit of sportsmanship when he approached stand-in Indian captain Ajinkya Rahane, congratulated him on his team’s test series win, and asked him to join the Aussies for an end-of-series drink. According to Smith, Rahane only response was that he would get back to the Australian captain. By the sound of things, he never did join them for that drink. 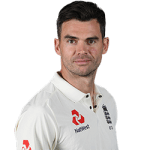 Despite the acrimonious behaviour, and despite losing the series, Smith said that it had been fantastic, and that both teams had played some good cricket.